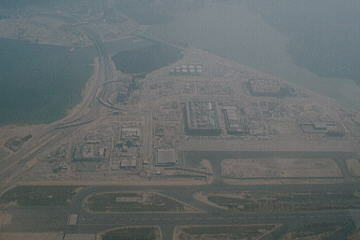 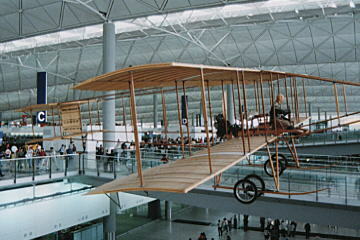 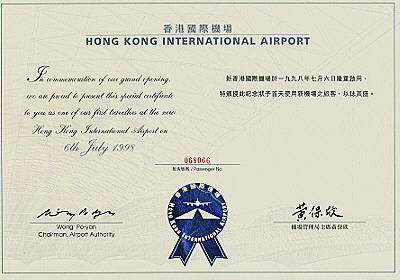 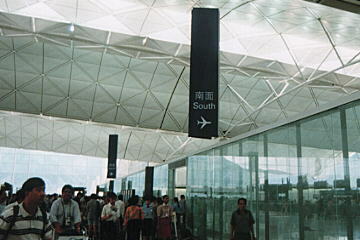 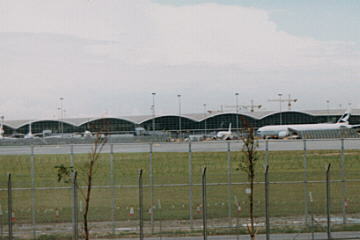 N.Hirai's Homepage:The New Airport "Chek Lap Kok"
The New Airport "Chek Lap Kok"
On July 6, 1998, the alternative new airport "Chek Lap Kok" opened. 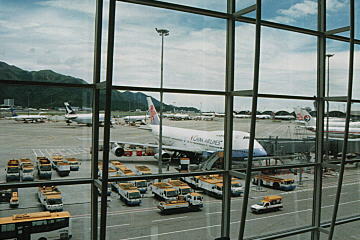 I departed from the airport on CX510 to Fukuoka, but I felt everything is worse than Kaitat, the previous airport!! 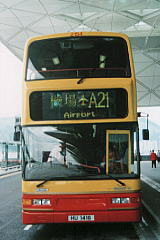 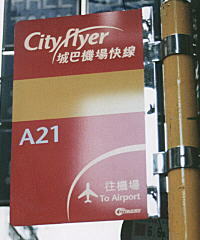 These bus lines connects between airport and Kowloon area directly. 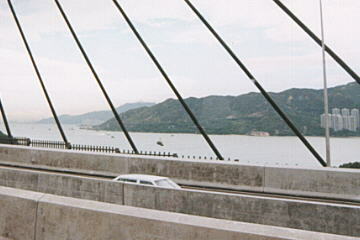 I can't imagine Hong Kong from this view. 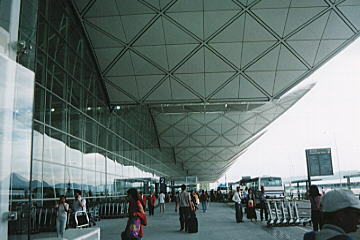 Almost half of counters can't work on the first day due to the troubles of computers. 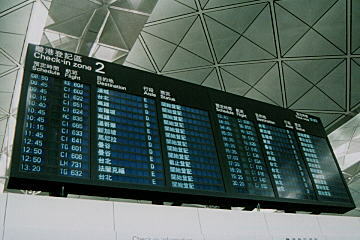 This board was also out of order. 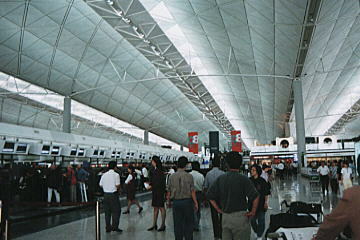 We were all at a loss in the hall. 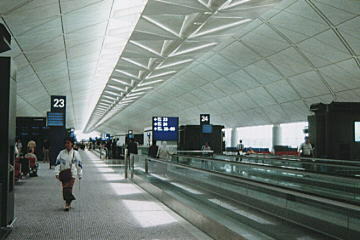 About 60% of moving walks stopped, we must walk to the gate for 15 minutes. 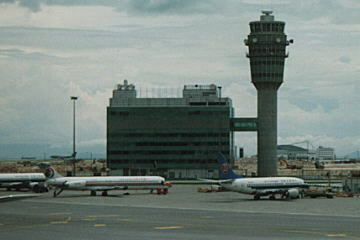 The tower confused, almost all departure flight delayed to 2 hours.